operational with only 41 aircraft available, one-third of its fleet of it original fleet, forcing to to cancel hundreds of flights, many at the last minute. While many of its aircraft lessors have begun to cancel leasing agreements, the stricken carrier is faced with further problems as the pilots’ union has threaten to begin strike action on April 1. Many pilots have no been paid for some time and this strike action will only be averted if the carrier can come up by putting a rescue plan in place by March 31, along with provision for paying overdue salaries and having a clear roadmap. With payments having been delayed to banks, suppliers, lessors and pilots, India’s Civil Aviation Minister, Suresh Prabhu, asked his officials to call for a meeting to discuss grounding of flights, advance bookings, cancellations, refunds, and any potential safety issues, at the cash-strapped carrier. Startup ultra-low cost carrier Canada Jetlines has selected the web-based TRAX eMRO software as its ERP maintenance solution. Jetlines is set to fly across Canada and offer non-stop service from Canada to the United States, Mexico and the Caribbean. The carrier plans to fly some 27 routes, including to unserved or underserved markets by other airlines, such as Hamilton, Ontario to Halifax, Nova Scotia. Delivery of two Airbus A320s are expected by early 2nd quarter of 2019, with long term plans to expand to 24 aircraft. The sister aircraft have a high-density seating configuration of a single class seating capacity of 180 seats. An Airbus A320 fleet was selected based on its fuel-efficient narrow-body framework, making it an ideal choice for Jetlines to start operations with. STARLUX Airlines of Taiwan has signed a firm order with Airbus for 17 widebody aircraft, comprising 12 A350-1000s and five A350-900s. The new airline plans to deploy these aircraft on its premier long-haul services from Taipei to Europe and North America, as well as selected destinations within the Asia-Pacific region. East/West Industries, a provider of critical lifesaving equipment for the aerospace and defense industry, has promoted Mike Vetter to Senior Director of Product Development. In this newly developed role, Vetter leads the product development and engineering groups, working closely with the sales team to manage and expand East/West’s continued growth. StandardAero has been selected by Air Senegal to provide a comprehensive range of engine services for its new fleet of ATR 72-600 regional turboprop aircraft. Under the multi-year contract with the Senegalese flag carrier, StandardAero will provide engine maintenance, repair and overhaul (MRO) services for Air Senegal’s ATR 72-600s from its OEM-authorized Designated Overhaul Facilities (DOFs) in Gonesse, France and Summerside, PE, Canada. The contract will also see StandardAero provide Air Senegal with a range of rental engine, mobile repair team (MRT), engineering and engine condition trend monitoring (ECTM) support services. StandardAero is uniquely placed to offer ECTM analysis expertise as both an OEM-approved DOF and a CAMP Systems Designated Analysis Center (DAC). 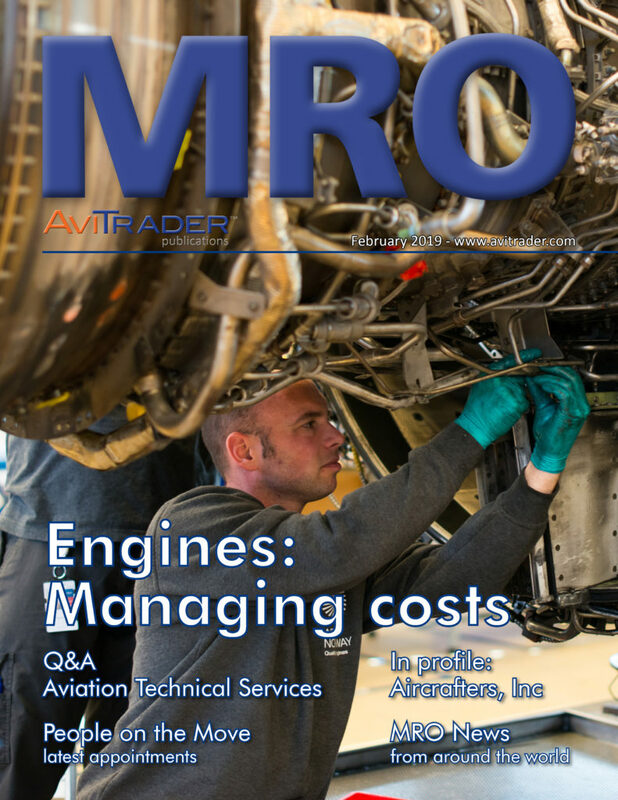 Magnetic MRO, a global provider of Total Technical Care for aircraft operators and lessors, has gained EASA’s approval to offer continuing airworthiness management (CAMO) services on wide-bodies Airbus 330 and Boeing 777, as well as Embraer 145 aircraft type. SWISS is to introduce a new Premium Economy Class on its long-haul aircraft fleet from spring 2021. In a first step, the additional travel class will be available in a 24-seat section on its Boeing 777-300ER aircraft. In the medium term, the new travel product will be extended to the entire SWISS long-haul fleet. For Economy Class travelers seeking more inflight comfort, the new product will offer a totally new air travel experience. SWISS will be investing some CHF 40 million in installing the new seating class on its Boeing 777 fleet. The new Premium Economy Class will feature a newly developed seat providing extensive legroom and movement. Embraer has released that the current President and CEO of the company, Paulo Cesar de Souza e Silva, will retire April 22, 2019 which is the end of his current two year elected term. For 22 years at Embraer, Paulo Cesar came from the financial market to structure the company's sales financing area. For six years he was President and CEO of Commercial Aviation and in 2013 launched the E2 Program, the medium-sized commercial jets considered today to be the most efficient in the market. Paulo Cesar was invited to be a Senior Advisor to the Board, with the task of facilitating the integration of the future President and CEO and advising the Board on the monitoring of assets and resources segregation, an integral part of the process of concluding the partnership with Boeing. The future President and CEO, to be elected for the next term, will be recruited externally and announced on or before the Ordinary General Assembly on April 22nd. Aircraft Leasing Company AeroCentury has reported a fourth quarter net loss of US$3.8 million compared to a net loss of US$4.5 million for the third quarter of 2018 and net income of US$6.0 million for the fourth quarter of 2017. Fourth quarter 2018 results reflect the combined operations of AeroCentury and its newly acquired subsidiary, JetFleet Holding (JetFleet), which was acquired on October 1, 2018. Fourth quarter 2017 results included a US$5.4 million tax benefit from the revaluation of the Company’s deferred tax liability caused by the passage of the Tax Cuts and Jobs Act of 2017. Net loss for the year ended December 31, 2018, was US$8.1 million, as compared to net income of US$7.4 million in 2017. The results for the fourth quarter and the year ended December 31, 2018, included a settlement loss of US$2.5 million in connection with the acquisition of JetFleet., the parent of the management company for the Company, which closed on October 1, 2018. The 2018 fourth quarter and full year results also included US$1.0 million and US$3.4 million, respectively, of net losses related to the sale of off-lease, older turboprop aircraft. 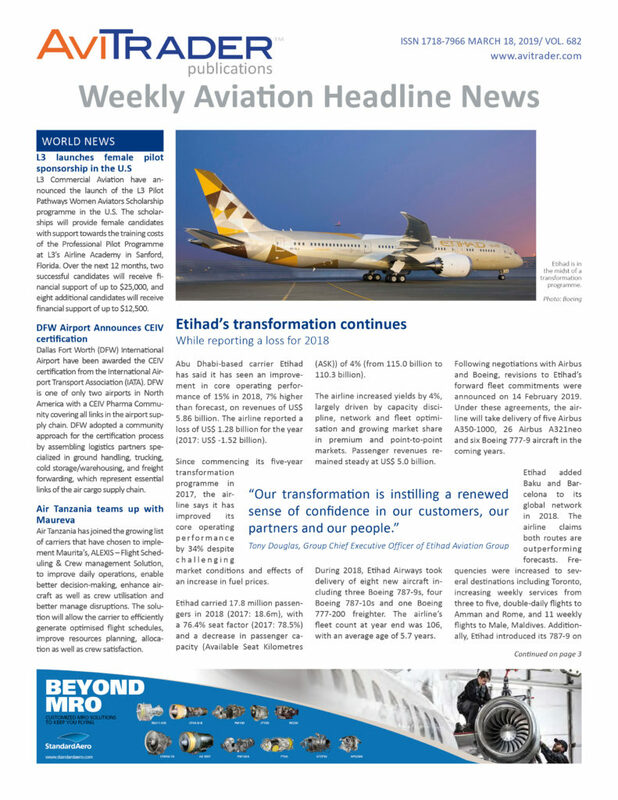 The 2018 full year results also included impairment provisions totaling US$3.0 million on five off-lease turboprop aircraft that were identified for sale, two of which were sold during the year, as well as US$1.6 million of maintenance reserves revenue resulting from payments received from a lessee that returned three leased aircraft to the Company in 2017 which payments the Company has recorded as they were received.